This colorful treat is an easy one-pot dish with a lot of flavors. I like to use black cod for its fatty texture for this dish, but you can also make it with other kinds of fish such as yellowtail, sea bass, salmon, etc. 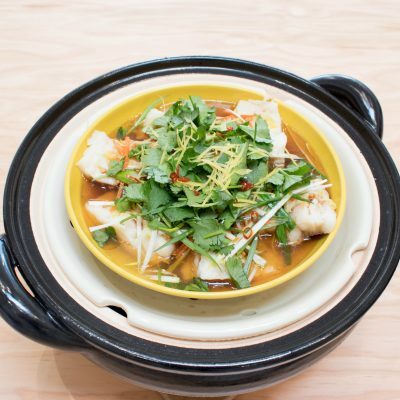 The sizzling sound and aroma of the smoking sesame oil when it’s poured over the fish stimulate your appetite so much. 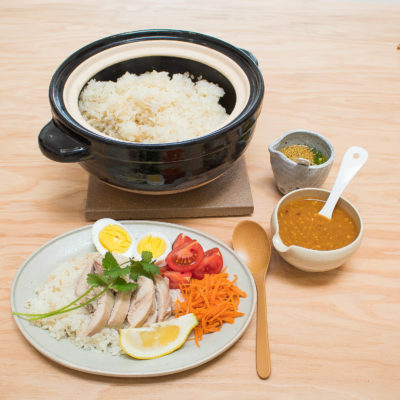 With the umami-rich sauce and aromatic toppings, this dish can become a healthy and satisfying main course. This soup is full of flavors and very satisfying. 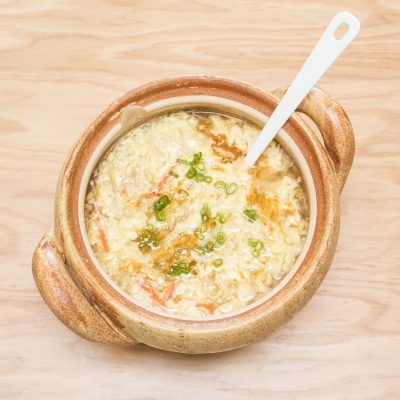 The addition of the black vinegar gives the nice umami-rich accent to the dish. The fluffy egg with vegetables make wonderful layers of textures, too. I like to sprinkle some sansho powder to the soup for extra kick, but it’s totally optional. 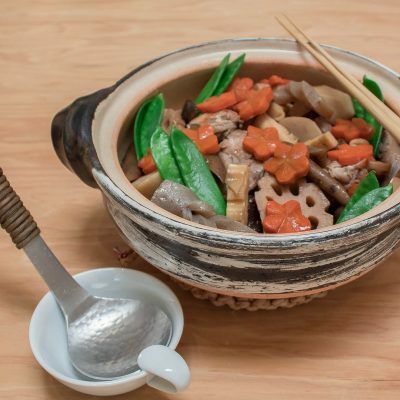 Japanese sumo wrestlers cook and eat chanko nabe at their stable every day. That’s the source of their strength. 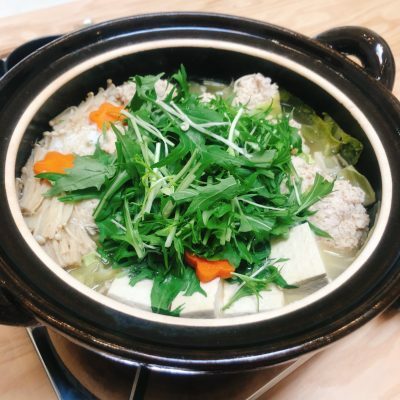 While chanko nabe refers to any types of hot pot eaten by sumo wrestlers, the most typical style is chicken as a main protein and cooked in chicken broth. It’s because chicken stands on two legs like human beings, so it is considered to bring good luck (in sumo, you lose if your hands touch the ground). 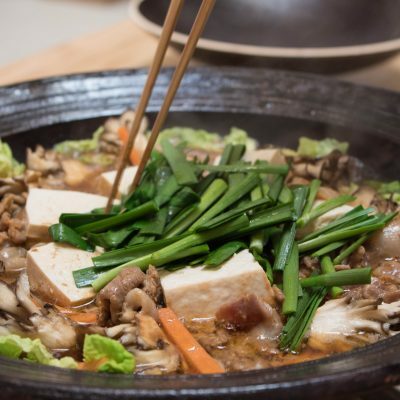 Chanko nabe typically makes a very nutritious and balanced meal, as you cook a wide variety of healthy ingredients in one pot. The sumo wrestlers are big, because they eat so much of it every meal! In my version, I cook chicken meatballs and vegetables in simple salt-flavored chicken broth, and add butter cubes right before serving. The aroma is so irresistible and the flavor is superb. As a shime (finishing course), I suggest ramen noodles to cook in the remaining broth. 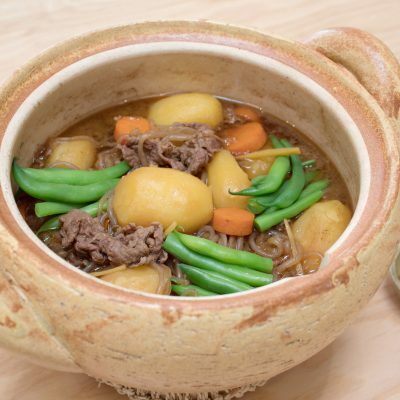 When I first tried simple vegetables steamed in Mushi Nabe, I was so surprised how pure and delicious they tasted. 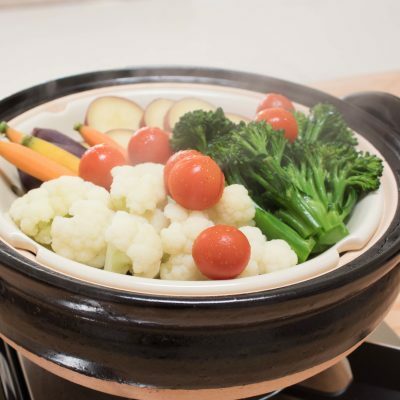 Mushi Nabe cooks vegetables fast and really brings out their natural flavors well. All I need to do is just get the seasonal high quality vegetables I like and steam in Mushi Nabe. 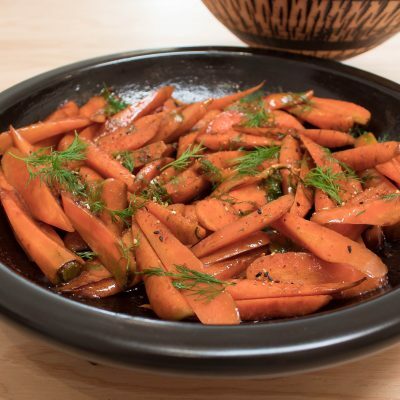 Try those vegetable simply with a quick dipping sauce of some sea salt and extra virgin olive oil, or your choice of dipping sauce.